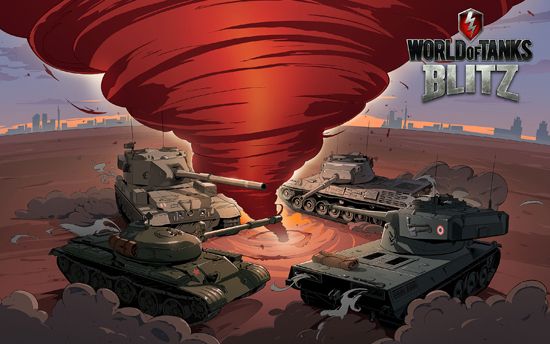 Wargaming’s “Blitz Twister Cup” offline finals Saturday, Nov 11 in Minsk prize pool of $30,000! Four elite teams representing four different regions (Russia, Europe, Asia, and North America) will engage in fierce, no-holds-barred tank warfare at Minsk’s Prime Hall – requiring teamwork, skill, and, strategy above all in order to take 1st place. A top-notch commentator team has been secured for the finals. Bushka will be handling the English side of things – and Tortik, Sim_Saladin, and Deselver will be broadcasting in Russian. Viewers can witness an epic war unfold in the World of Tanks Blitz double elimination tournament on Saturday, November 11 starting at 1:30 p.m. GMT+3. With a $15,000 prize for the winners, notable teams Blitzkrieg [PRAMO] will fight for North America, C4 [C4] will represent Russia, Legion [LGN] will stand up for Europe, and EHR2 [EHR] will defend Asia. The Grand Final will boast the best from both upper and lower brackets, in a frantic Best of Seven skirmish for the top prize. World of Tanks Blitz is the free-to-play PvP hit where commanders face off in 7-vs-7 tank combat – with over 200 unique vehicles to master from Germany, Japan, France, China, the USSR, UK, and US. Choose your tank, upgrade your vehicle, and battle on more than a dozen maps against tankers from all over the world. World of Tanks Blitz is available as a free-to-play app on the App Store, Google Play, Steam, and the Windows Store.